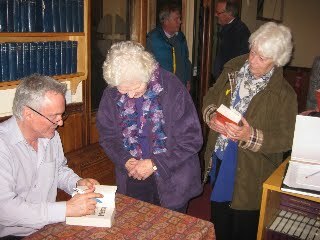 Martin Sixsmith's talk on Russia on Monday was sold out - the Methodist Church was packed with over a hundred people of all ages (as you can see from the photos above, where he is signing books after the talk. The young girls are studying Russian and even had a conversation with him in Russian). 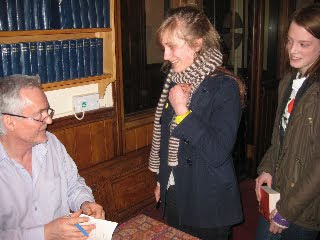 He started with some Russian jokes and then spoke very movingly of how writers and musicians coped during the events of the twentieth century. The book is fascinating, highly recommended.